Juicy, fresh strawberries are grilled until they become warm and tender. Then, they are served with grill-toasted angelfood cake and as much whipped cream as you want. It’s heavenly. Yes. This is a little past season. But Momtastic just published my recipe for Grilled Strawberry Shortcake — and I couldn’t not share it! Bookmark this one … you want to try it — even if you wait until next summer. 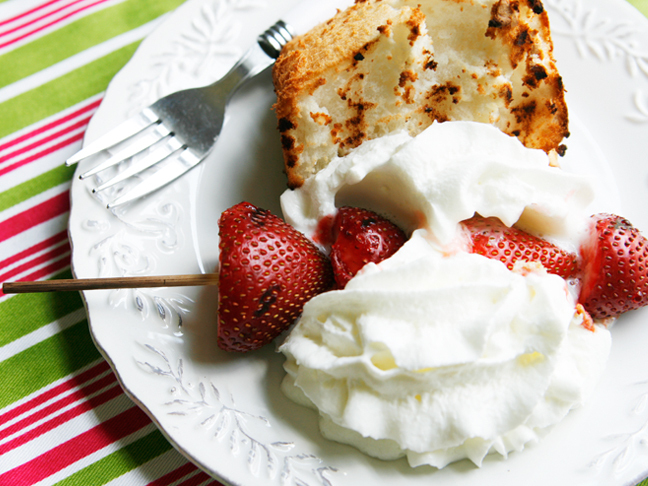 Get the recipe for Grilled Strawberry Shortcake on Momtastic. It’s not late, it’s just really early for next summer!